In the long line of holidays, luxury holidays are the best but not always affordable. However, clever travellers always know how to get a luxury holiday at low prices. And if it’s Egypt Luxury Holidays, then you are in for a ride in heaven. Why Luxury Holidays In Egypt? Being a desert country, Egypt calls for luxury holidays. But don’t let the name fool you. Some things are not negotiable and luxury in a foreign country is one of them. The culture and landscapes are worlds apart and so is their language and lifestyle. ⇒ Accommodations should not cause you stress and make you uncomfortable whether with group or alone. ⇒ You need a guide/ local guide with you at all times for better access in every area, whether it’s about knowing routes, people, traditions, do’s and dont’s . ⇒ Transit between city and within city is also not negotiable. Why anybody will need to worry about these trivial details during a holiday? ⇒ You should be able to decide the time-span you spend in any place and the route you want to take or activities you want to experience. ⇒You should be able to enjoy the local delicacies without making yourself sick. Egypt Tourism has made significant changes in order to offer tourist the best of Egypt and show the world a new meaning of luxury holidays. Luxury holidays don’t mean you won’t enjoy the colours and mystic of real Egypt. But get real Egypt in the best way. And if it comes with certain luxury, grab it with both hands. You will be a fool not to. ⇒ Always opt for 4 or 5-star accommodation or above. ⇒ Drink bottled water; be it is city or middle of nowhere sites. ⇒ Take a local guide with you, whether you are sightseeing or digging inside Egypt’s history. ⇒ Hot air balloon rides, camel rides, light shows in pyramids and temples, cruises dancing and entertainment, horse carriage rides, charter flights, felucca rides etc. are all optional and you can opt for whichever you want to make a budget luxury holiday. ⇒ If you are opting to eat local eateries, go with local restaurants rather than street vendors. ⇒ If you plan to shop, be sure to negotiate whether it’s a market or not. Egypt is well known for haggling shopping. ⇒ Always tip people, they expect it. But sure of their positions, you don’t want to insult them by treating lowly either. ⇒ Always wear light clothes but not revealing ones. And keep with your sunscreen and hats or scarves etc. The heat and cold both are merciless here. ⇒ If you are in for diving experiences or any other water sports, go for PADI courses first. Be safe than sorry. 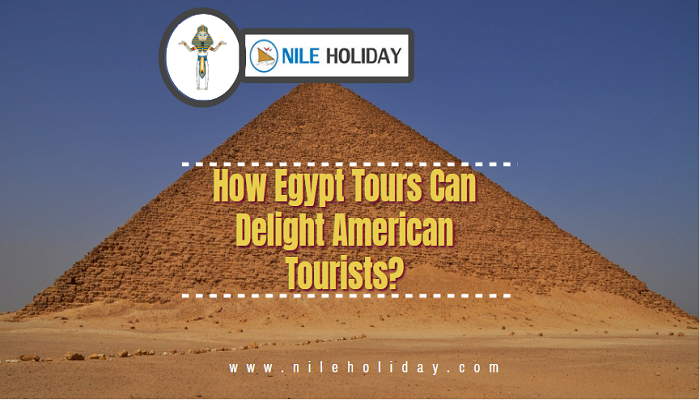 NILE HOLIDAY knows how to give the real Egypt without depriving you of luxuries that make a holiday memorable and pleasurable. 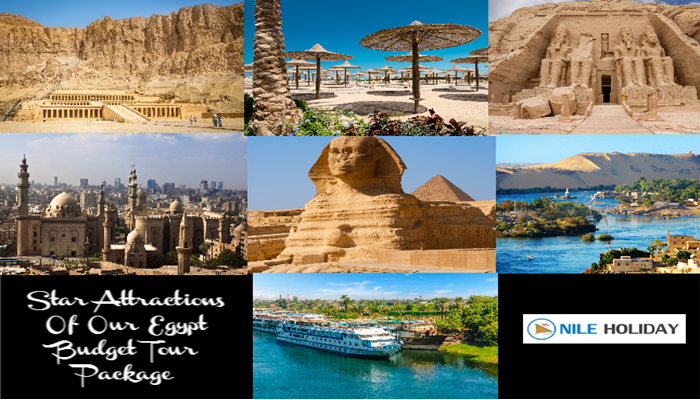 So call us for the best affordable Luxury Holidays In Egypt and get the best Egypt Tour Packages to find an easy ride.